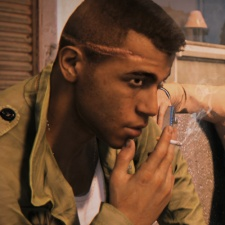 Staff from Mafia III developer Hangar 13 have been laid off according to publisher 2K Games. Kotaku reports that some employees of the California-based studio are being let go in order to make sure that resources are in line with its long-term plans. A specific number of staff has not been announced, but Kotaku says it has heard that a large portion of roles have been axed. “2K can confirm that there have been staff reductions at Hangar 13 in order to ensure that the studio’s resources are properly aligned with its long-term development plans," the publisher wrote. Apparently the studio has been prototyping a new game for almost a year. Normally news of layoffs occurs when a game has underperformed, but Mafia III, according to overlords Take-Two, was a commercial success. Anecdotally, PCGamesInsider.biz has heard that internal sales projections were in fact higher than the game's initial sales. Best of luck fo all affected by this news.